We've been beta testing FXCM's new Strategy Trader automated trading platform for a couple of months now, and after quite a few trials and tribulations we've finally got our trusty first example robot to work successfully on it. FXCM refer to trading systems written for Strategy Trader as "Strategy Advisors", and they are implemented based around bars rather than ticks like MetaTrader 4. That means you really need to run this advisor on a tick chart to stay in the market 100% of the time, like the MT4 version does. We still haven't managed to get that working reliably, but it does seem to run fine on a one minute chart and up. If you'd like to take a look you can download the C# source code from our community forum. 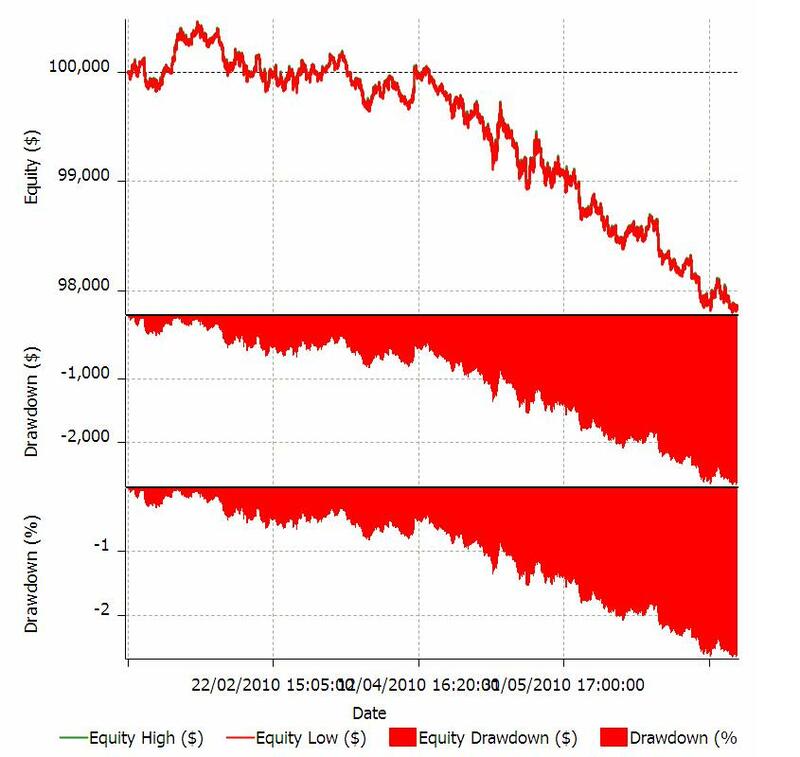 Looks as though we might have a bit more work to do to produce a consistently profitable Strategy Trader "robot". Maybe those "random" entries weren't such a good idea after all? Alternatively maybe the fact that we're no longer entering in the direction of the last tick has got something to do with all that red on the graph? Instead we're now waiting for up to 5 minutes before deciding in which direction to place our next trade. Dealing Desk or No Dealing Desk – That is the Question!